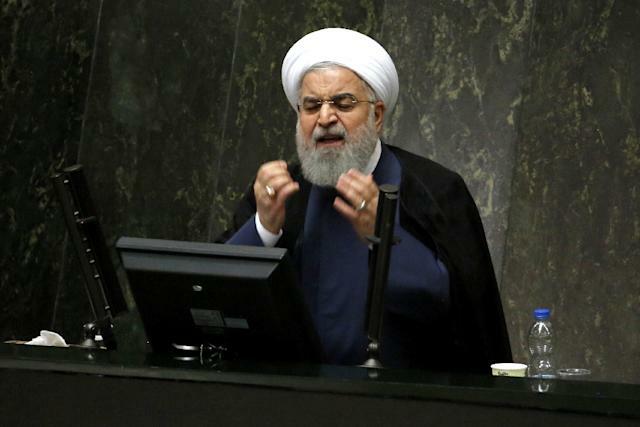 Iran's President Hassan Rouhani struck a defiant stance against US sanctions on Tuesday, renewing his threat to cut off international oil sales from the Gulf. "America should know... it is not capable of preventing the export of Iran's oil," Rouhani said at a televised rally in Semnan province. "If it ever tries to do so... no oil will be exported from the Persian Gulf," he added. since the 1980s, Iran has said repeatedly it would blockade the Gulf in response to international pressure but has never carried out the threat. Washington has reimposed sanctions, including an oil embargo, since withdrawing from a landmark 2015 nuclear deal between Tehran and major powers in May. It has vowed to reduce Iran's oil sales to zero, but has granted temporary waivers to eight countries. Rouhani last threatened to close the Gulf in July when he warned the US "should not play with the lion's tail." The president downplayed the economic impact of sanctions, accusing the media of exaggerating the country's problems. "No hyperinflation, no massive unemployment will threaten us. People should stop saying such things in the papers," he told the crowd. The latest inflation report from Iran's central bank says food prices rose 56 percent year-on-year in October. Rouhani acknowledged there were "some problems", but said these would be addressed in the new budget plan to be presented on December 16. He said the government would maintain subsidies on essential goods and increase public sector wages and pensions by 20 percent.